Professor Dongsu Ryu in the School of Natural Science at UNIST. Among many particles arriving from outer space, there are ones with the extremely high energy that travel at nearly the speed of light, which is equivalent of a baseball thrown at a speed of 100 meters per second. New hypothesis for origin of those ultra-high-energy particles has been proposed, thus drawing particular attention from all over the world. 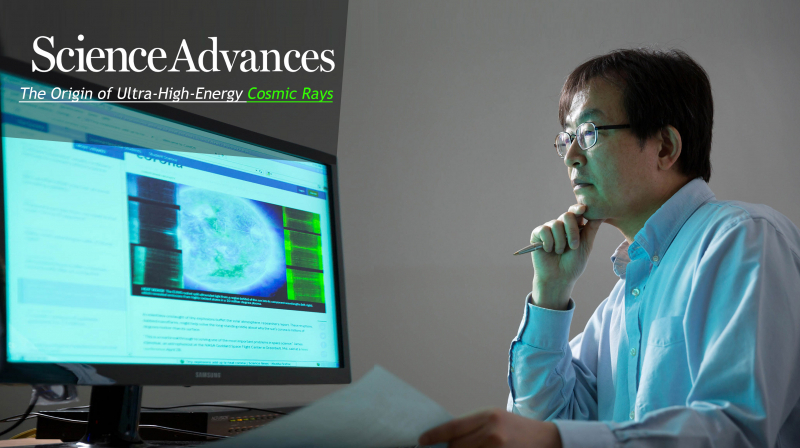 A team of Korean researchers, led by Professor Dongsu Ryu in the School of Natural Science at UNIST, has shed new light on the mysterious origin of such ultra-high-energy cosmic rays (UHECRs) that has puzzled astrophysicists for decades. 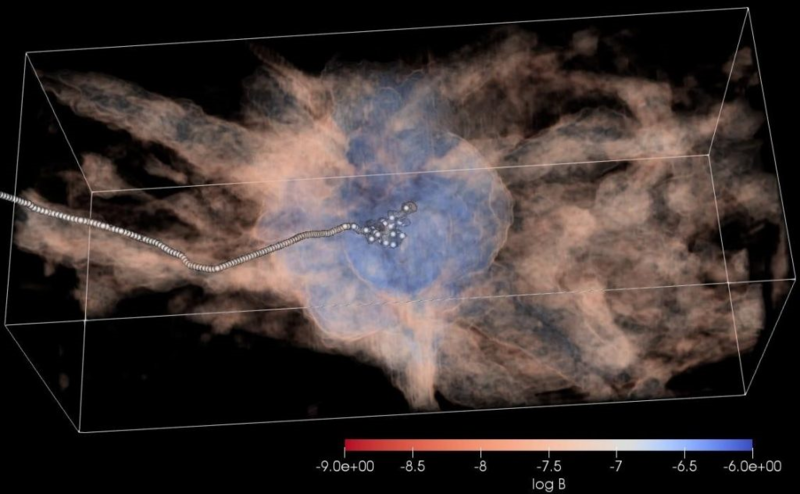 Their study suggests that those particles come from the filaments of galaxies connected to the Virgo Cluster, in the sky around the hotspot and their locations in the sky are correlated to hotspot events with a high statistical significance. Schematic drawing of a model for the origin of TA hotspot events. l Photo Credit: Jihyun Kim et al., Sci. Adv., 5(1), 2019. Cosmic rays are subatomic particles arriving from outer space, which have high energy as a result of their rapid motion. Among them, ultra-high-energy cosmic rays (UHECRs) are ones with energies exceeding 1019 eV (about 8 joule), a threshold known as the Greisen–Zatsepin–Kuzmin limit (GZK limit). Thus, one UHECR is ten million times more energetic than the highest energy one produce with earth-based particle accelerators, which is about 1013 eV. Although UHECRs are known to mostly come from outside the Milky Way galaxy, their origin still remains unknown. In order to resolve the mystery of UHECRs, an international collaborative project was set up—the Telescope Array (TA) project, which was designed to collect data on UHECR hotspots. 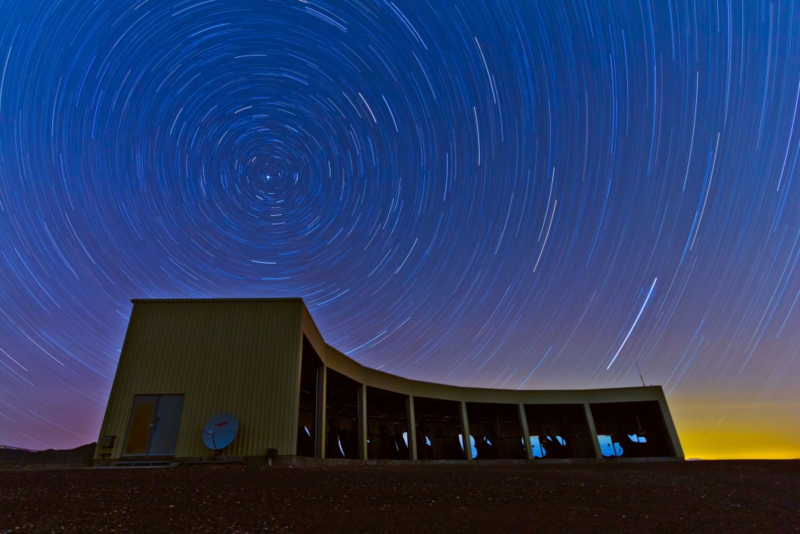 The above image shows Telescope Array (TA) experiment, located in the western desert of Utah, United States. 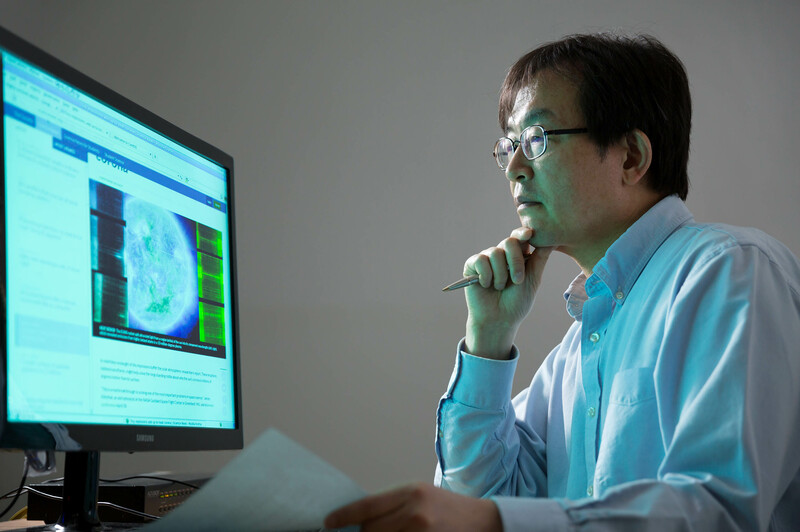 In this study, Professor Ryu and his research team focused on recent findings from the TA—the detection of a high concentration of UHECR events in the northern sky, referred to as a hotspot. The TA experiment, located in Utah, United Sates, is the largest experiment studying UHECRs in the northern hemisphere and has detected about 72 UHECRs (5.7×1020 eV) over the course of 5 years (from May 11, 2018 to May 4, 2013). Among them, 19 UHECRs arrived from a newly discovered hotspot centered on the constellation Ursa Major. Yet, near the constellation of Ursa Major, there appears to be no celestial bodies that are capable of producing UHECRs. Astrophysicists therefore have been discussing various possibilities in search for the origin of UHECRs. 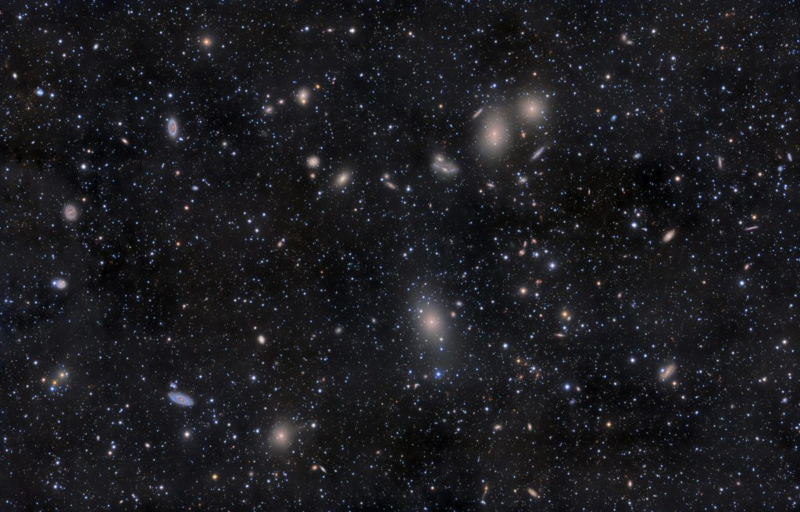 To try to solve this mystery, Professor Ryu and his research team analyzed a database of nearby galaxies, finding that they were closely associated with three “galaxy filaments,” which are connected to the Virgo Cluster around the hotspot. 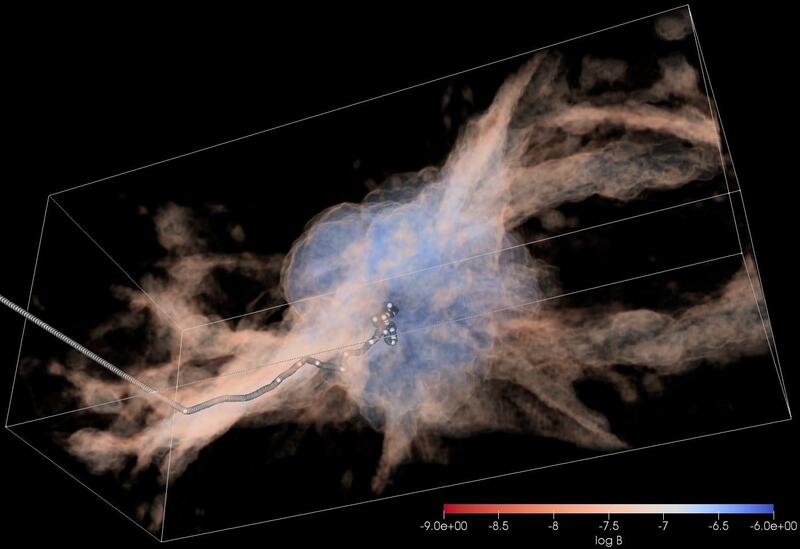 “Through computer simulations, we demonstrated that the UHECRs were actually being produced inside the Virgo Cluster and travel along the galaxy filaments before they hit the Earth’s atmosphere,” explained Professor Ryu, the corresponding author of the study. 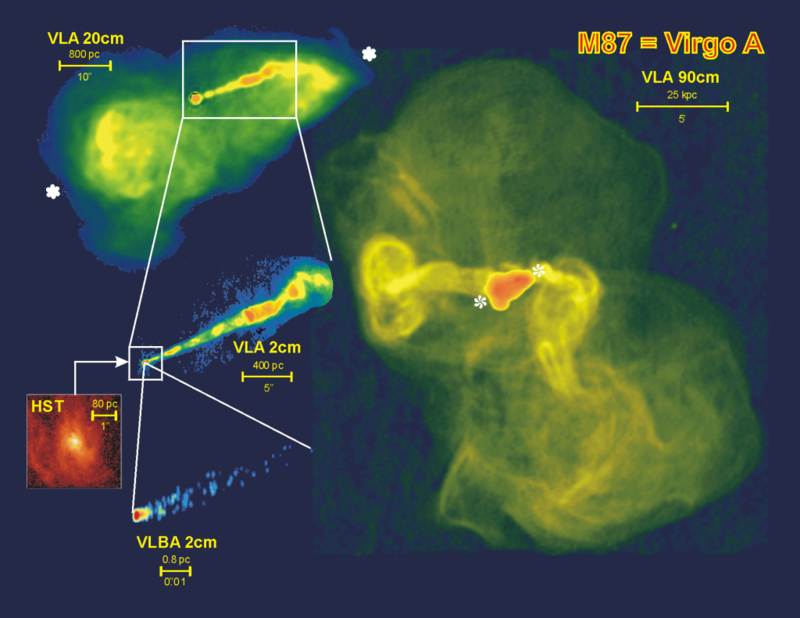 The above image shows Radio Galaxy Virgo A. l Image Credit & Copyright: National Radio Astronomy Observatory (NRAO)/Associated Universities, Inc. (AUI). 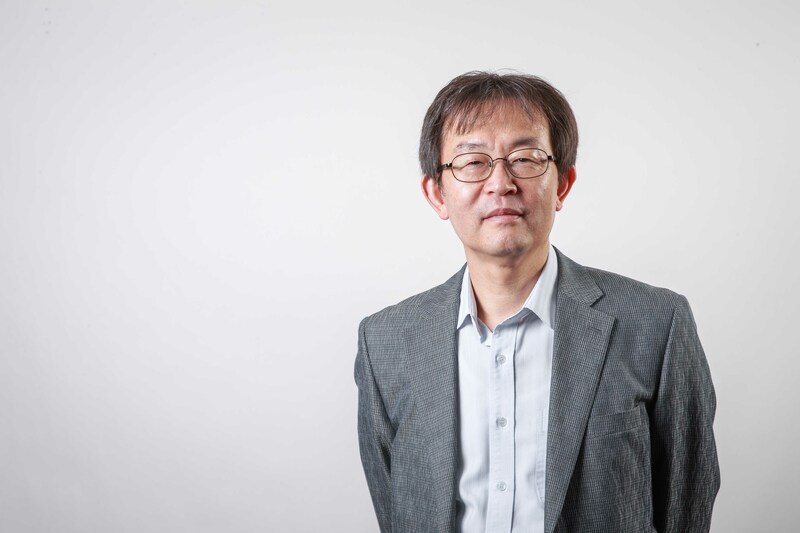 “Understanding the origin of UHECRs has been an unanswered biggest mystery of the twenty first century,” says Professor Ryu. 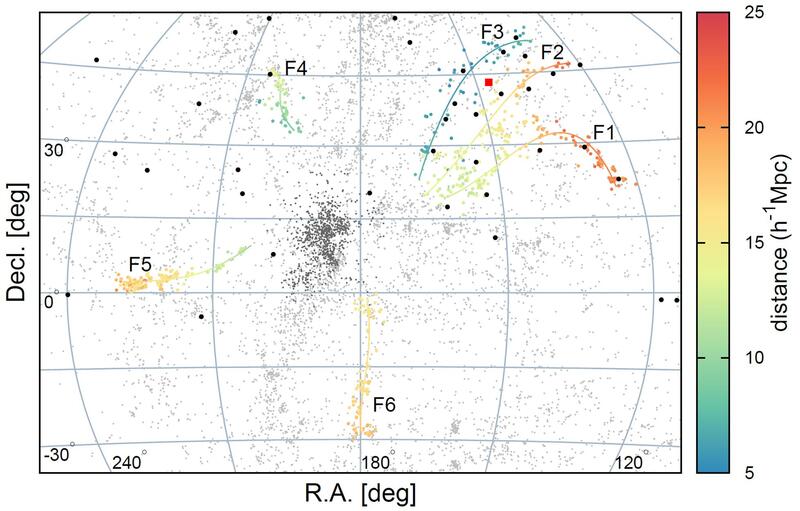 “Our study sheds new light on the mystery origin of UHECRs through the space observations of UHECRs”. This study has been jointly participated by Professor Hyesung Kang of Pusan National University, Postdoctoral Suk Kim of Korea Astronomy and Space Science Institute, and Professor Soo-Chang Rey of Chungnam National University. 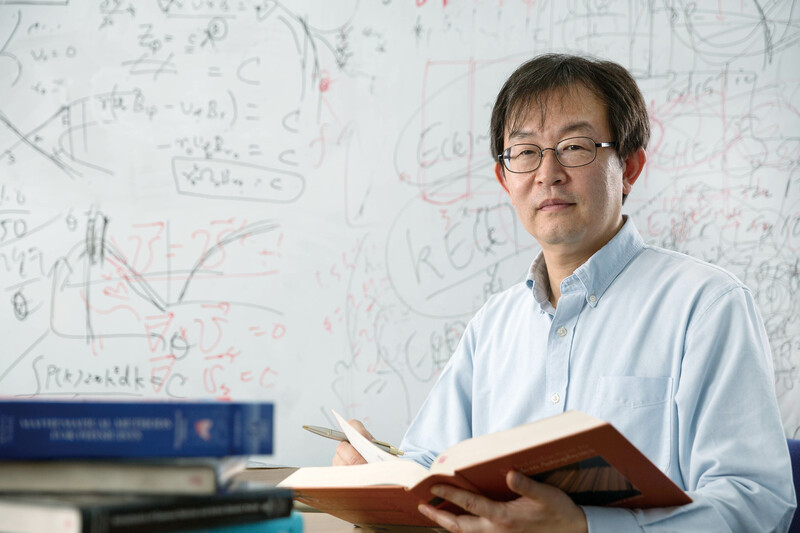 Jihyun Kim, Postdoctoral fellow in the Department of Physics at UNIST, also partook in the study, as the first author. Meanwhile, this study has been supported by the Ministry of Science and ICT (MSIT) and the National Research Foundation of Korea (NRF) through the Advanced Research Center Program (Center for High Energy Astrophysics). 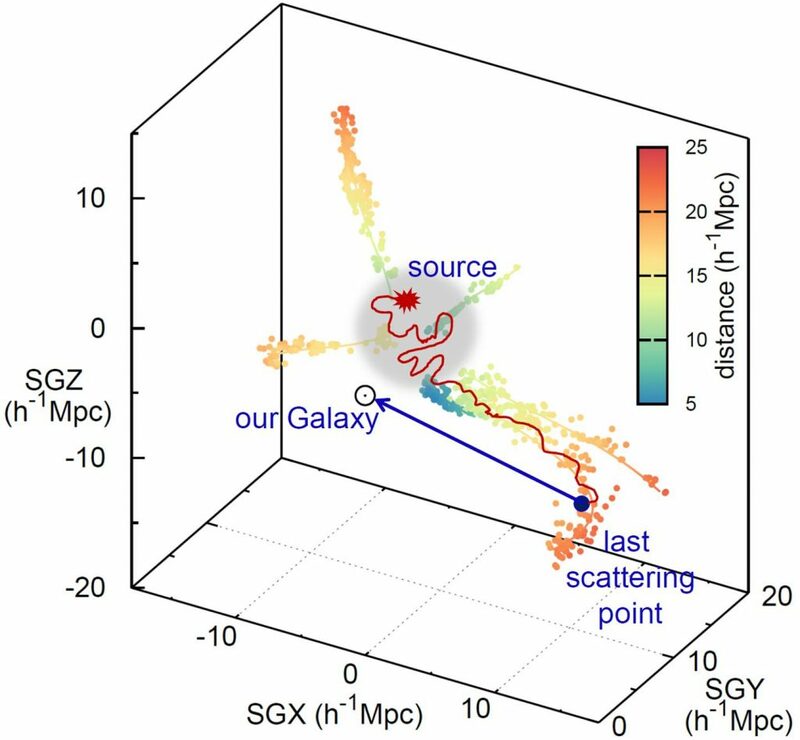 Jihyun Kim et al., “Filaments of galaxies as a clue to the origin of ultrahigh-energy cosmic rays”, Science Advances, 5(1), 2019. Schematic drawing of the trajectories of UHE protons in the intergalactic space of a simulated model universe. The cluster is represented by the blue tone, while filaments are represented by the red tone. The trajectories are plotted with white dots. l Photo Credit: Jihyun Kim et al., Sci. Adv., 5(1), 2019.